I apologize that it has been so long since I have added a new post to this blog! As some of you know, I have been dealing with some health issues and am now recovering from surgery that was done in late August. My recovery is proceeding well, and I am feeling stronger every day. I have been very busy making corsages for the upcoming holidays, and I will begin listing LOTS of new Christmas items in the coming weeks. I have made some really cute Halloween corsages featuring vintage spun cotton witches, black cats, and skeletons. 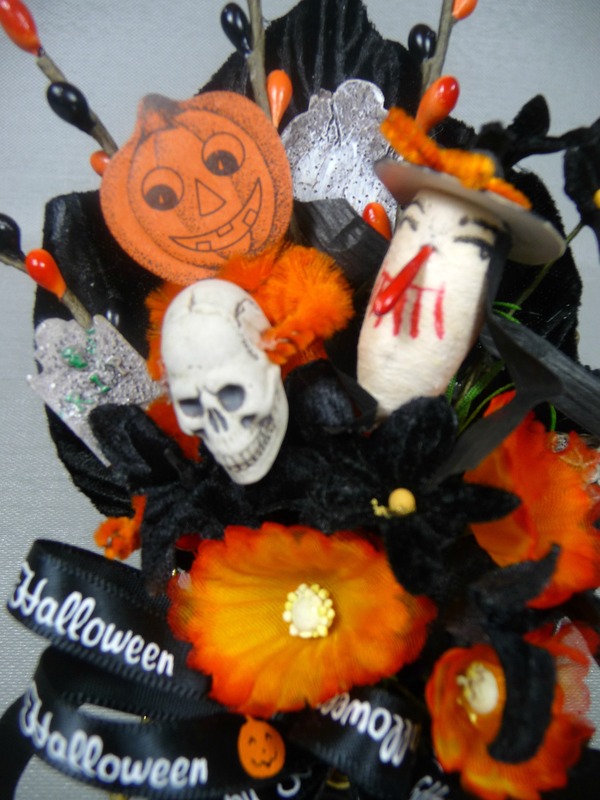 They are loaded with lots of lovely vintage millinery flowers and leaves, and other fun trinkets and charms that give each one a spooky theme that would be fun to wear or display. I had several really pretty Thanksgiving corsages listed also, but they have already sold out. I will be putting a couple more together in the next few days, so they will be listed soon. 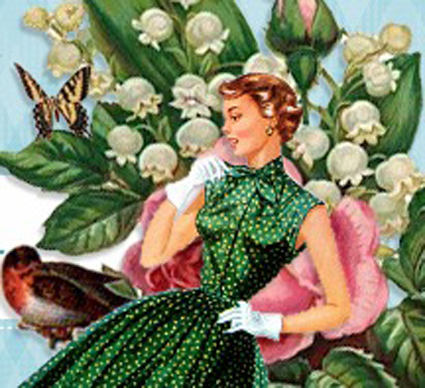 As always, I welcome custom requests – so let me know if you have some ideas for a special corsage you would like me to make for you. Turnaround time is about a week while I am recovering, but may be a bit longer once I get back to work. Thanks for your comments and support, and I welcome you to stop by the shop to check out my work. Readers of by blog are invited to use coupon code BLOG10 at checkout to get 10% off your purchase, so I hope you’ll visit soon. Enjoy these last warm days! Last Week for Christmas in July Sale! College Mascot Corsages for Homecoming and Alumni Events!